Parents often ask me when they should start teaching their children first aid. Everyone that knows me, knows that I believe that first aid is a fundamental life skill. As I look at how my children (aged 7 and 9 years) remain calm and help when their friends are hurt, I realise that I subtly started “teaching” them from a very early age. 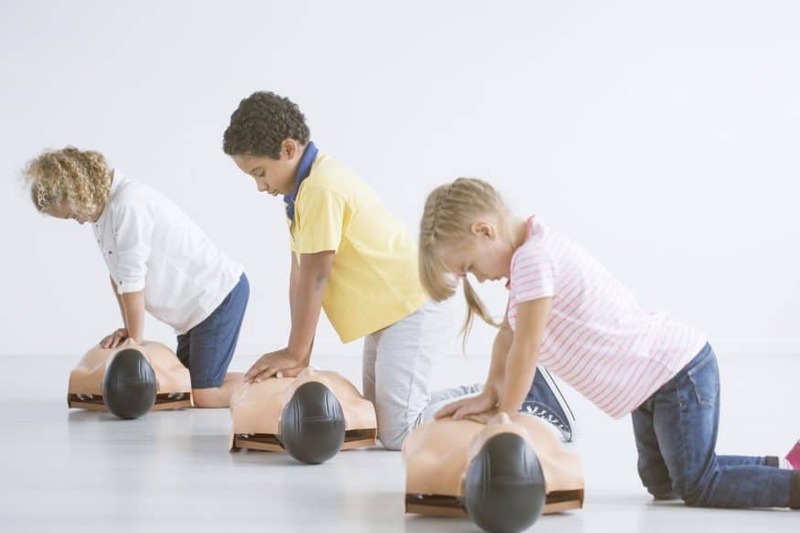 I want to share with you how this came about and how you too can start teaching your child the fundamentals of first aid at an early age. Remaining calm when someone is hurt or injured can be hard to do, but it is such an important concept to role model. Our children look to us when they are hurt, or out of their depth to be their calm oasis. Whilst I have never said to my children “It’s important to stay calm if someone is hurt” they do see me going into “calm nurse mode” often (it’s how my husband knows when someone Is really hurt). As a consequence, I have seen both my children demonstrate the same level of calmness because to them that is what you do. My daughter’s friend recently hit her head hard and there was a lot of blood. Afterwards, I asked my daughter what she did as the teacher had not seen it happen. She told me “I said, don’t worry, you sit down and I will get the teacher. I then told my other friend not to look because she feels funny when there is blood.” This level of calmness at the age of 6 blew me away and demonstrated to me the true impact that role modelling can have! Often children cope better with a situation if they have been “primed” with age appropriate information. Think about how a toddler usually copes better with a change in routine if they have been prewarned. I believe in a similar way, that age appropriate information can reduce those feelings of being scared, stressed and overwhelmed by giving the child something to focus on that they can do. It can help them feel more in control of a stressful situation. What our address was in case they ever were asked by 000. Later I also taught them the mobile numbers of my husband and I (we also keep them by the ph). I causally shared that 000 was the number that you called if you ever needed help from an ambulance, the police or firemen when there was a serious situation and an adult couldn’t help you with it. I told them that if they ever couldn’t wake up the adult that was looking after them or the adult was in pain or couldn’t get to the ph, then 000 was a good number to call for help. We played games to help them know the situations that warranted calling 000 e.g. do you call if Mum won’t let you watch the TV? NO. Do you call if your sister is annoying you? NO! Do you call if you couldn’t wake up Mum? YES! Children are so tech savvy that actually teaching them to use the phone was the easy bit. All of this info was delivered in a casual and matter-of-fact way like you would chat to them about other important life skills, such as sharing. When my son was just over 4 years old he made me super-proud when he used some of this information that I had taught him… long story but I suddenly tore both my quad muscles (I may have been doing a 12-week challenge and then tried to chase my son into the bath) one evening and couldn’t stand up. Luckily my Husband was only 2 minutes away on his way home. But my son calmly came to me (lying on the ground) and said “Mum, you said if I ever couldn’t get you up to call 000. Should I do that now?” He knew what he might need to do and therefore was less stressed than if I hadn’t primed him. Lastly, when we moved into our new house in their pre-school years, I took them to meet the neighbours. Later when talking about our day I was able to say “Mrs Jones was nice wasn’t she? I think she would be a great person to ask for help if we ever needed it…” Again, just planting a seed. As parents we often teach without realising by chatting to our children about what we are doing. I realised I would say explain what I was doing when I patched up my children. For example, “Oopsy, that was a bit of a tumble. If we press gently on your knee where it is bleeding it will stop” or “Ow that bruise looks sore. If we put some ice in a tea towel and but it on your bruise it will feel better and stop it from getting worse.” Explaining things acts as a distraction and gives your child simple information that they one day might use, I know mine sure have. Once the age appropriate foundations of staying calm, and when, and how to call for help have been laid, as your child gets older they can start to pick up other basic skills (which is another blog topic). 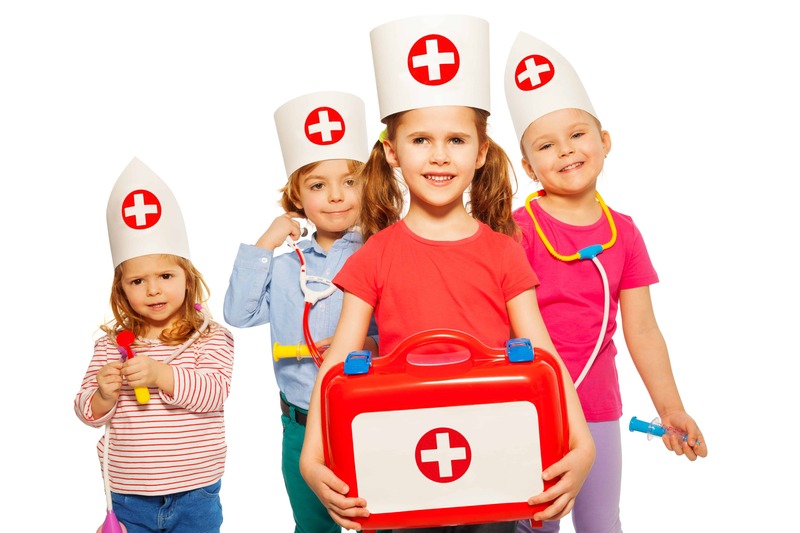 I really feel that first aid is a valuable and essential life skill that we can start teaching to our children early. In fact, by empowering them some information they may feel more in control. 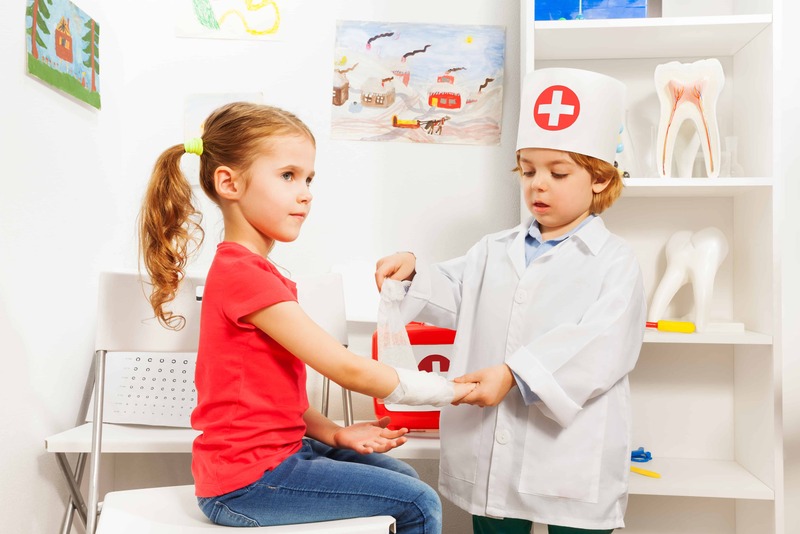 If you feel confident in a first aid situation chances are, you will be able to pass this skill onto your child. However, if you doubt your ability to stay calm then perhaps a first aid course will help you to increase your confidence and in turn you will be able to pass this confidence on to your children.